When you search for Hilton Head Island chiropractors, several options come up. However, one chiropractic care center stands out among the rest for a history of providing excellent chiropractic care since 1991. That healing center includes outstanding service to locals, tourists and celebrities alike. That office is Fraum Chiropractic Life Center. 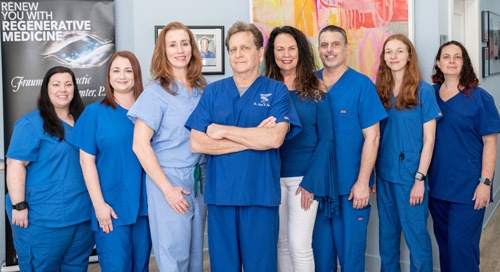 We have served the community of Hilton Head Island for almost three decades. We believe that our bodies are natural and deserve to heal naturally through noninvasive methods. We have been voted the “Readers’ Choice Chiropractor” for 10 consecutive years beginning in 2008 by Hilton Head Monthly. We strive to provide excellent care because we value our reputation in the community. We do more than supply patients with the standard level of chiropractic care. We offer a wide range of services and utilize innovative technology to give patients treatment that will optimize their health. We ensure that our patients are part of the process every step of the way. And we can even help with payment options that make care even more affordable. We begin each patient relationship with a comprehensive exam that assists us in determining the cause of their problem and identifying their unique needs. This helps us to provide them with the best course of action in eliminating their pain and increasing their wellness potential. Our patients have access to all of our many services, and we give our insight and perspective on the choices available. We focus on back and neck pain, headaches and muscle tension, but we also have patients who just want to achieve a better state of health and mind or are training to improve their athletic performance. Our highly trained chiropractors provide a comprehensive level of care, including prenatal chiropractic, sports chiropractic and nutritional therapies. The doctors at the practice are also well-respected pediatric chiropractors, as well as personal injury specialists. Our aim is to reduce pain and inflammation, but we also offer our patients nutritional counseling and personalized suggestions for lifestyle modification. We have the tools and expertise to help even the most difficult cases. Our patient-centered office welcomes people of every age and from all walks of life. Do you have a problem we can help? Get in touch with us for a convenient appointment!